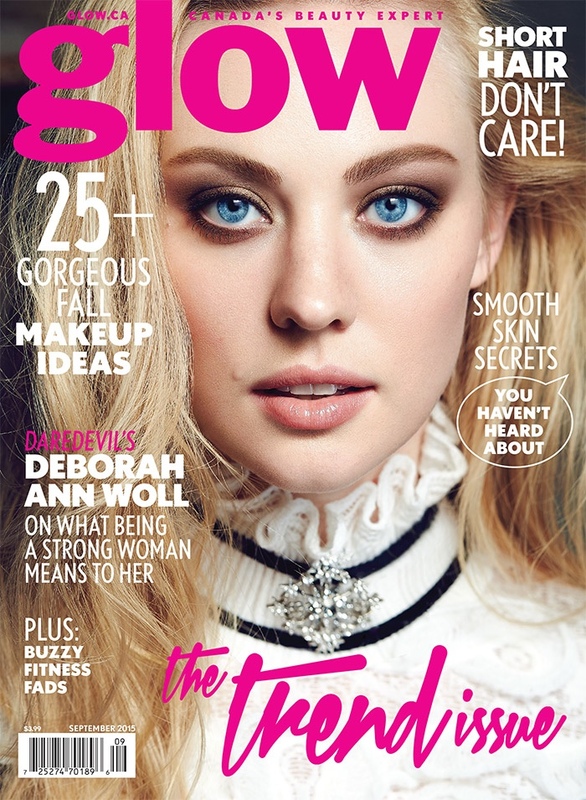 True Blood’s Jessica, Deborah Ann Woll is featured in the September 2015 Canada’s Glow Magazine. Deborah Ann has now returned to her natural blonde hair color after being a redhead on True Blood for 7 years. Her character, Karen Page on “Daredevil” for Netflix is a natural blonde so it must be nice not having to dye it all the time. In the magazine spread she looks beautiful as she poses for Max Abadian and models elegant dresses and gems styled by Juliana Schiavinatto. Daniel Mackinnon worked on creative direction for the shoot while Simone Otis created Deborah Ann’s glamorous makeup look with Justin German on hair. Whether a redhead or a blonde, she is one gorgeous lady. she is so BEAUIFUL ! She is so PHOTOSHOPPED ! but yeah she is pretty.